This was my experience of E.T.s until last week. 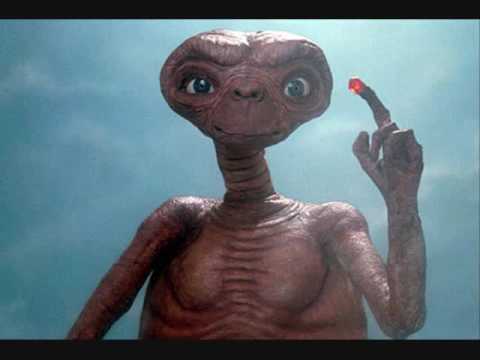 He was such a nice guy and E.T. meant extra terrestrial. My world has changed and E.T.’s now are embryo transfers. 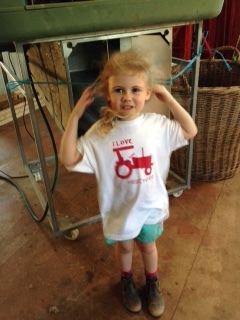 We have just embarked on a program to increase our stud numbers quickly, important when time is of the essence. Six of our best ewes and two of Ballyvaughan’s stud, had their eggs harvested, which were then artificially inseminated by Jim, a Stanbury ram, himself a Champion. So now we are expecting 10% of our elite ewes to be producing 80% of our ram drop. We were helped in this amazing journey by Genstock, of Jerilderie, It’s quite an involved program of putting the recipients on the pill, taking them off it and then injecting them – all to a strict timetable. 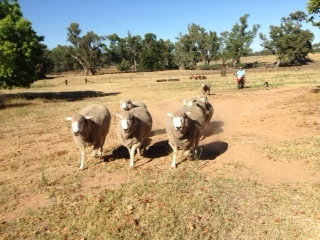 Other rams have to be kept a long way away from the recipient ewes. So there is no confusion for our girls. Here come the E T girls. Genetics are fascinating. Corriedale sheep, having evolved over the last one hundred and twenty years, have distinct genetic paths to follow or maybe I should say to choose from. On one side you have the ‘type’ a visual measurement, and now we have various other methods of garnering measurements, the wool diameter, muscle depth, and weight gains. Mothering and milking is a big factor. But most of all fertility and constitution are the key to it all. 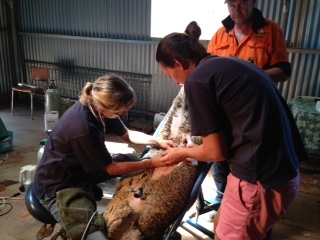 So it was hot in the shearing shed and we borrowed an air conditioner, neighbours, three vets and friends came to help and over sixty recipient ewes were anaesthetized, shaved and then operated on. Fascinating business. And it’s not all that different to extra terrestrial stuff. This entry was posted in Sheep Corriedales. Bookmark the permalink.